Becca Cosmetics teamed up with Jaclyn Hill who is a beauty and youtube guru to create one of the best highlighters in the makeup industry. The highlighter was so popular they created an entire champagne collection. Included in this collection is pictured above called Champagne Splits. The packaging for these products are amazing with the silver pan edged with gold lining on the outside. It is a combination of a highlighter and mineral blush. Jaclyn Hill in collaboration with Becca Cosmetics created the highlighters in both split pans shown above. 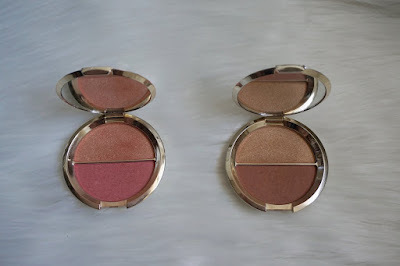 The blushes are Becca Cosmetics already formulated mineral blushes that are super pigmented and blend beautifully. The Kylie Cosmetics Holiday Collection is here and is just as fabulous as you can imagine. The holiday collection is created in all silver packaging and contains diamond powder in each and every product. Pictured above is the Merry Collection with a few extra items. She created different bundles for customers who want some items but not the entire collection. 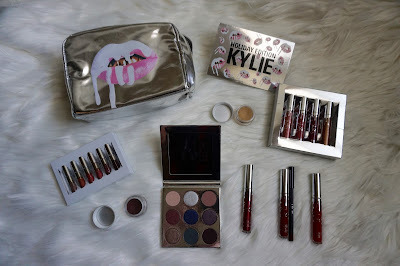 The collection includes a makeup bag, an eyeshadow palette, a mini lip kit, cream eyeshadows, a lip kit, a metallic lipstick, a gloss, and a metallic gloss and liquid lipstick quad. Below contains more information about each item. 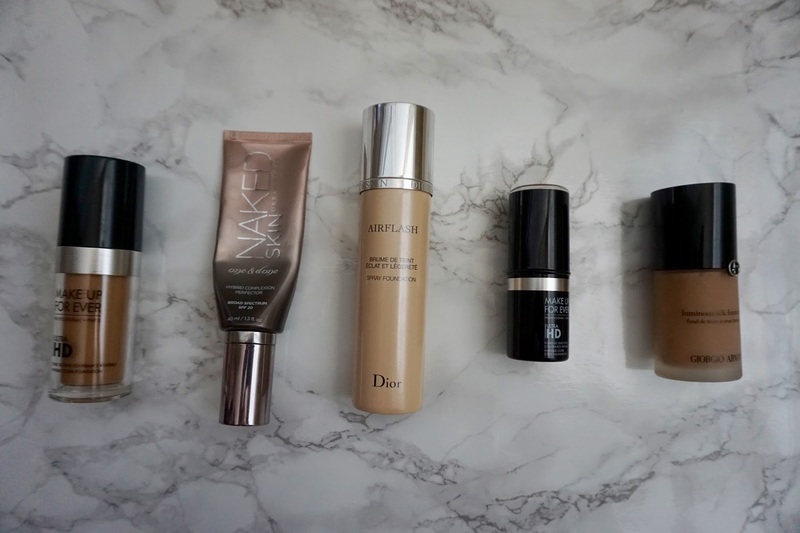 Good foundations are not only found at Sephora or Ulta, the local drugstore has some pretty amazing foundations as well. Although finding your perfect shade can be tricky, the drugstore has stepped up their makeup game. My top three drugstore foundations are pictured above. Two of the foundations have a matte finish and one has a more dewy finish. All three of these foundations are completely affordable and can be found at Walgreens, CVS, Walmart and Target. More information about each foundation is listed below. 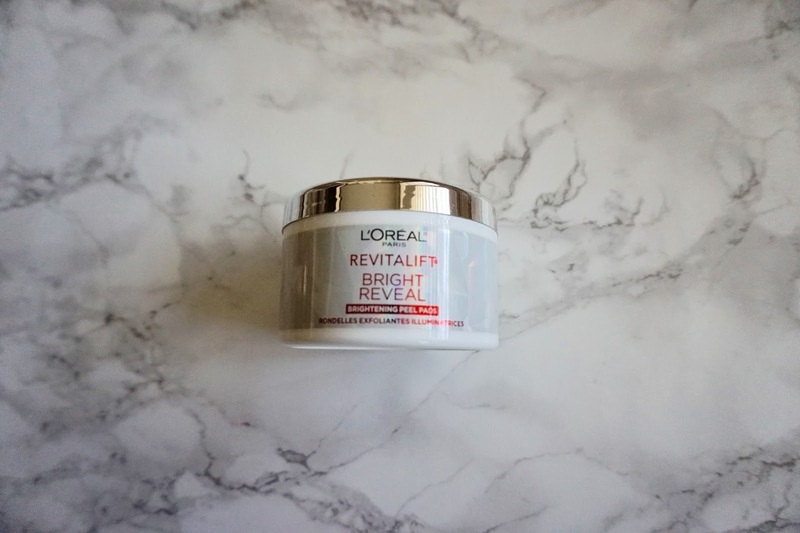 The Revitalift Bright Reveal Peel Pads are an anti-wrinkle and brightening treatment that is affordable. The pads are used as a daily peel to resurface dull, uneven and rough texture to reveal youthful skin. It contains Glycolic Acid to bright and even out skin tone and texture. The pads instantly peel away any debris and dullness and leaves you with smooth skin immediately. You can use this product every night over cleansed skin. Using peel pads can make the new skin sensitive to the sunlight so be sure to use an SPF before any contact with the sun. This product is definitely worth every penny in my opinion you will not be disappointed. It can be purchased at Ulta, Walgreens, CVS and Walmart. Concealers are extremely important in anyone's makeup routine. Concealers are used to conceal any dark spots, blemishes, or discoloration. They are also used to highlight the face in different areas such as the middle of the forehead, bridge of the nose, and chin. I use concealers to correct the dark circles underneath my eyes as well as to highlight the faee. 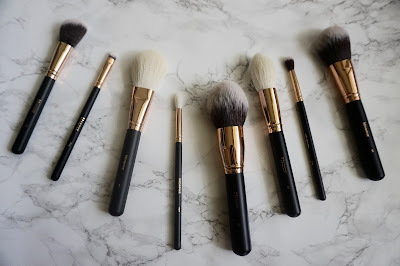 If you have problems with makeup creasing underneath the eyes these concealers pictured above would be perfect for you because they have a thinner consistency rather than a cream concealer. 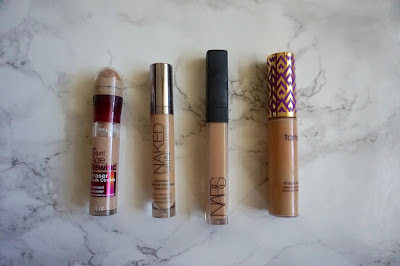 My four favorite concealers are pictured above. 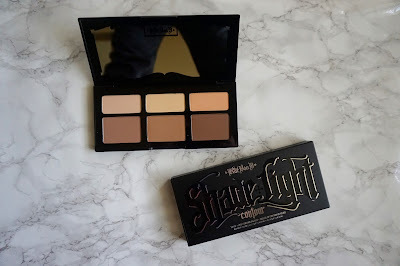 The Kat Von D Shade + Light Contour Palette is my personal favorite contour palette on the market. 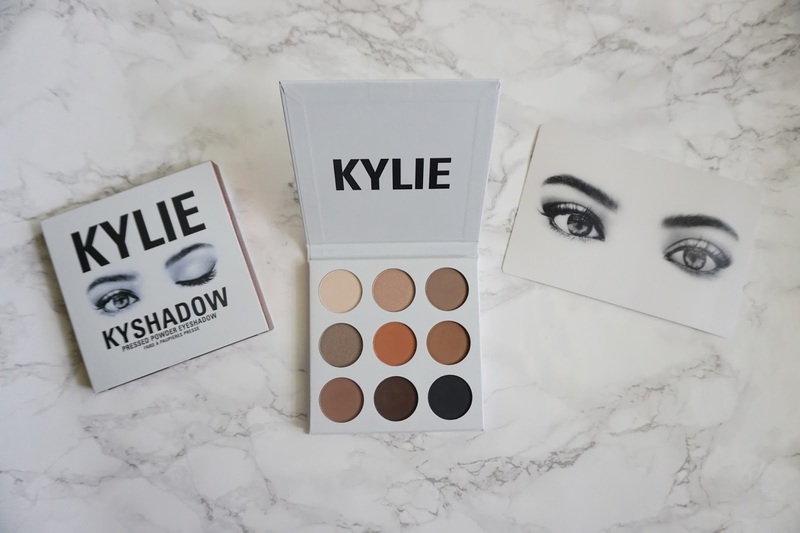 The shades range from light to medium to dark so any skin tone will be able to use this palette. The top row of shades are matte highlight shades. The highlight shades are used on the tops of the cheeks bones, to set the under eye, center of the forehead, and bridge of the nose. Another amazing holiday collection by Sephora has hit stores and its called Sephora Favorites Extravagant Eyes. This collection focuses on the hottest products for your eyes. The total value of this box is $134 but it is sold for $42 which means you get a lot of items for your money. 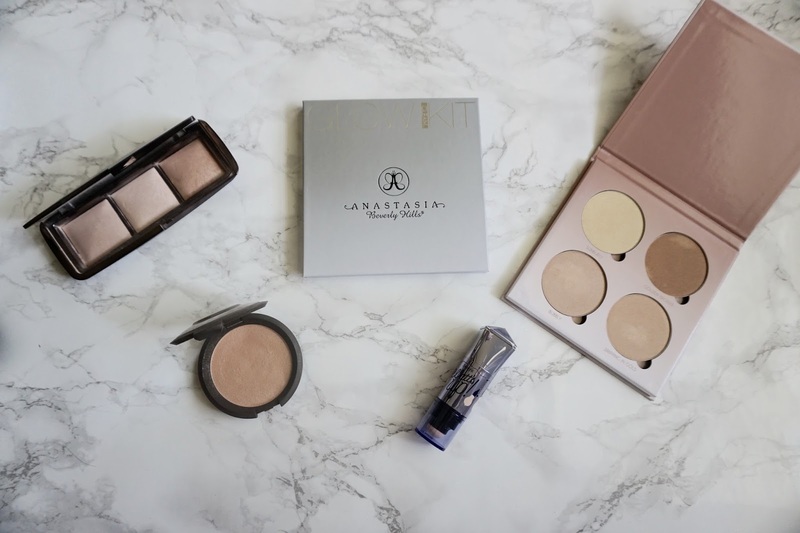 The Extravagant Eyes box will help you branch out of your eye makeup routine and will help you test out some amazing products you might not have thought to try before. 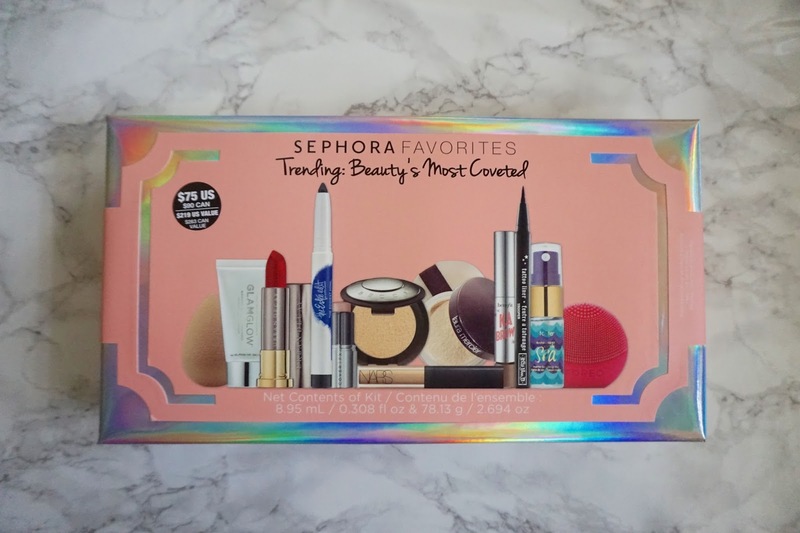 Sephora Favorites Trending: Beauty's Most Coveted is an amazing gift set that Sephora puts together for the Holidays. The value of the box is $219 but retails for $75 which is incredible. 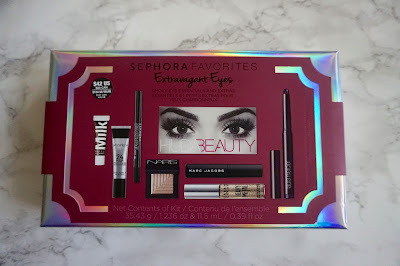 This specific box includes Sephora's best selling products. 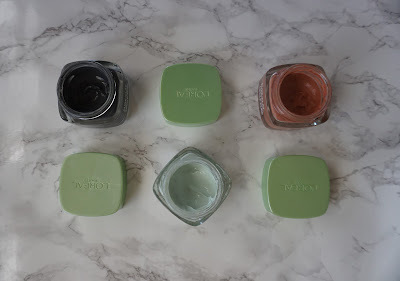 The products range from full size to deluxe sample and mini sample sizes. Including in the box is a range of products from skin care, face, eye and lip products. 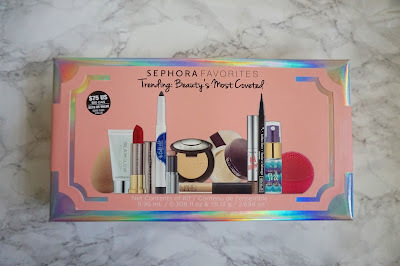 Most importantly if you have been wanting to try a bunch of new products, these Sephora Favorites boxes are the perfect way to help you decide if you like certain products or not without committing to buying the full size. Bombshell Beauty Bath Cosmetics is a local bath cosmetics company located in Rayne, Louisiana. 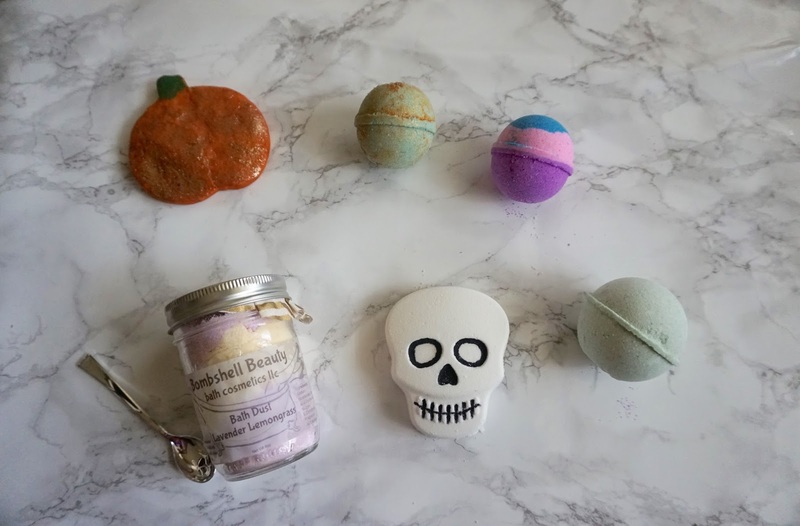 They sell a wide variety of bath cosmetics including bath bombs, bath dust, bubble bars, jelly soap, body lotion, body butter, exfoliators, bath soaks and so much more! They even have headache rescue bath soak which is a natural way to help relieve headaches as well as a sinus soak that will help you with your sinuses. Every product smells absolutely amazing and leaves your skin feeling silky smooth. 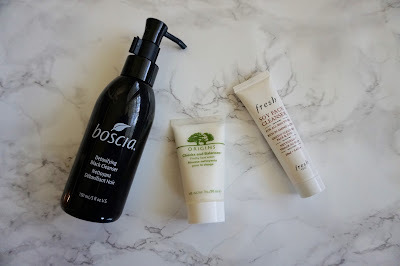 I personally have sensitive skin and these products do not irritate my skin at all. The bath bombs come in different shapes and sizes. Cleansers are a vital part of everyone's skin care regimen. Cleansing the skin should be the first thing you do after removing your makeup. Cleansers target specific skin types whether you are oily, dry, sensitive or combination. The cleansers pictured above are for all skin types. 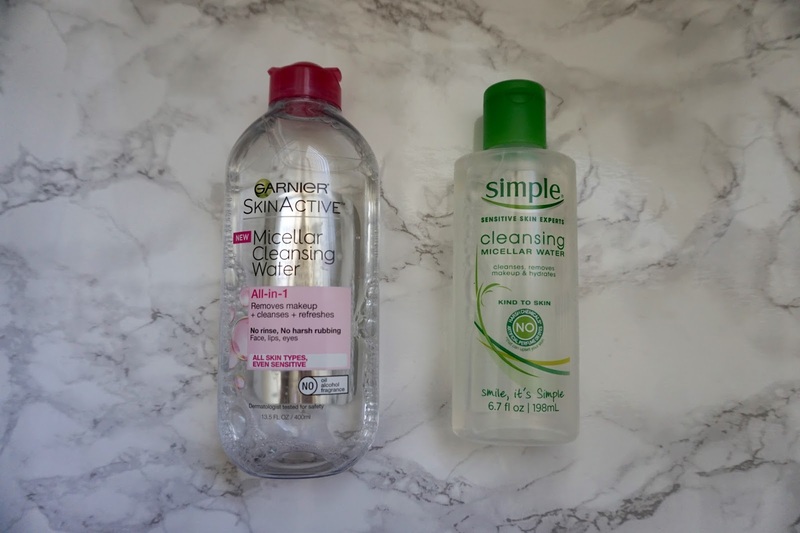 Micellar Cleansing Waters are cleansers that do not need to be rinsed off. They make removing makeup and debris quick and easy. For both micellar waters you would need to apply the water to a cotton pad and apply to the face. The Garner Micellar Cleansing Water is powerful yet gentle to the skin. Like a magnet the micelles capture and lift away dirt, oil, and makeup without harsh rubbing. It leaves the skin clean, hydrated and refreshed without over-drying. Mario Dedivanovic is one of the most world renowned makeup artists. He has worked on many celebrities such as Kim Kardashian, Gabrielle Union, Demi Lovato, and Shay Mitchell to name a few. He even puts on an amazing class where he teaches people his techniques. 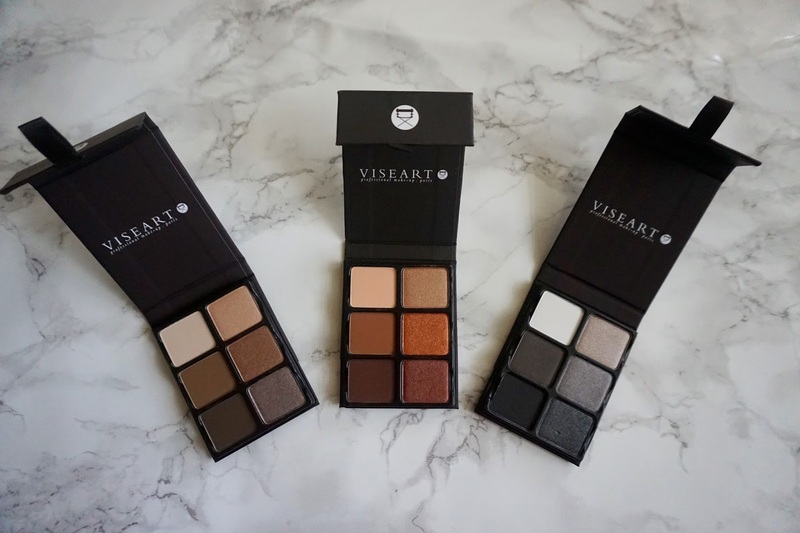 He teamed up with Anastasia Beverly Hills to create one of the most beautiful palettes I have ever used. 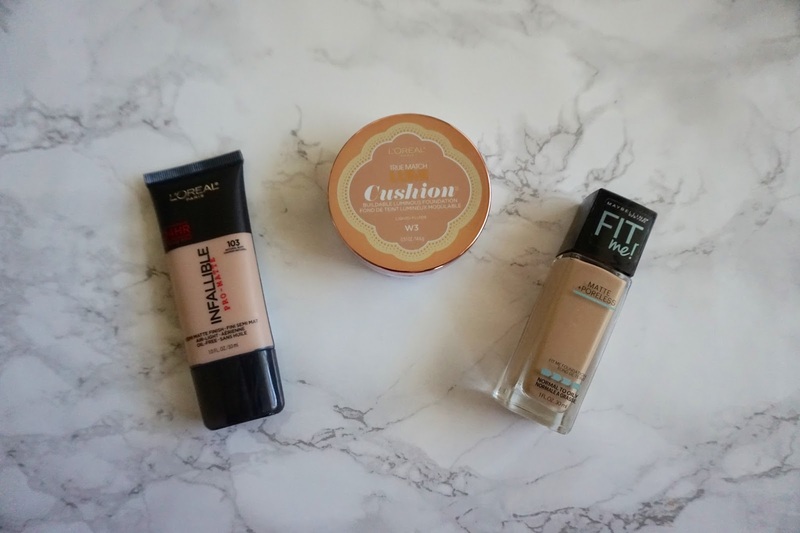 Trying to find the right foundation for your skin can be very difficult. You have to ask yourself various questions such as light, medium or full coverage, and whether you would like to have a matte or dewy finish. My favorite foundations are shown above because they all do different things. L'OREAL's new pure clay masks are hidden gems at the drugstore. 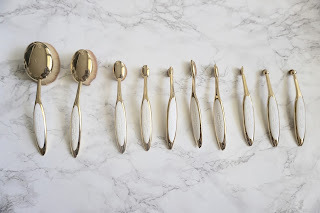 Each clay mask targets specific needs and they actually work. The red clay mask is to exfoliate and refine, the charcoal mask is used to detox and brighten, and the eucalyptus mask is used to mattify and purify. The masks leave your skin feeling clean and clear in only ten minutes. These masks can be found at any drugstore such as Walgreens, CVS, Walmart, Target etc.